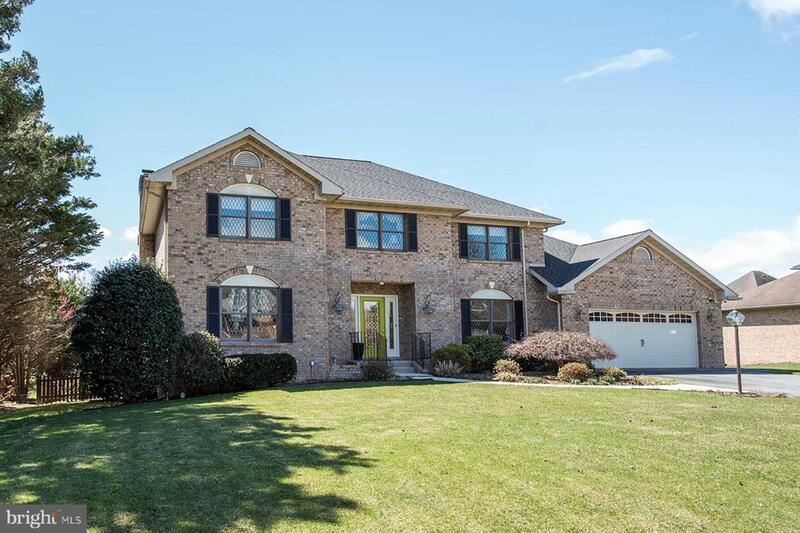 Extraordinary 4 bedroom, 3 and a half bath custom colonial with English flair! Nothing to do but move right in! Featuring gourmet eat-in kitchen with tile floor, granite countertops, natural gas cooktop, double ovens and plenty of cabinets. Spacious adjoining family room with gas fireplace. Traditional living room includes fireplace. Enclosed formal dining room. Luxurious master suite boasts trey ceiling, walk-in closet with renovated master bath, including double vanity, tile floor and walk-in shower. New roof installed Oct. 2018, dual zone HVAC, natural gas heating. Home office with custom built-in cabinets. Separate laundry room. Finished basement areas; Home theater, game, workout and more! 15x14 party deck overlooking inground heated pool with diving board. Fully fenced backyard. Extensive landscaping with 49 head irrigation system. 2 car garage. Convenient to schools, grocery store, I-81 and I-70. No city taxes!